Amaryllis cultivars are arguably some of the most impressive and beautiful of all flowering house plants. Unfortunately, they have a short window of availability and are only really seen a few weeks before Christmas. 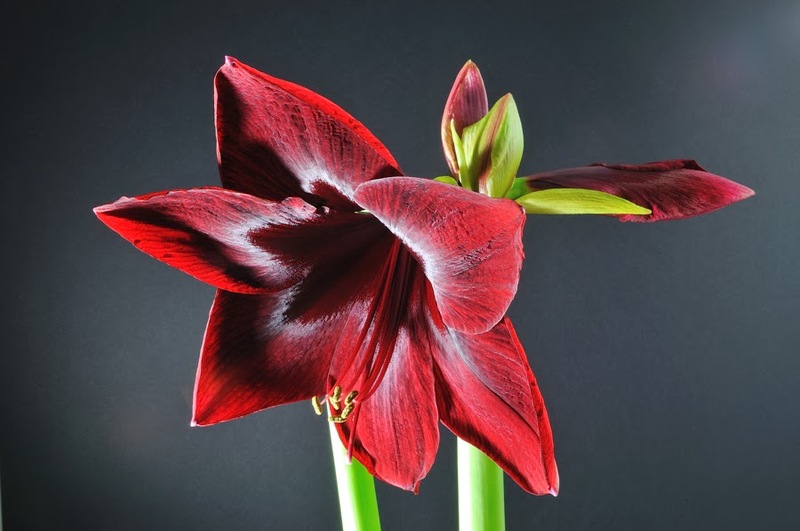 There is some controversy with the name though as true Amaryllis are native to South Africa. 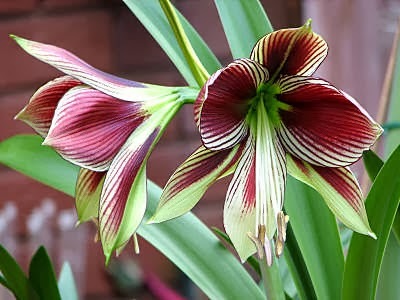 The bulbs bought during the Christmas period which are sold as 'Amaryllis' bulbs they are in fact Hippeastrum cultivars. 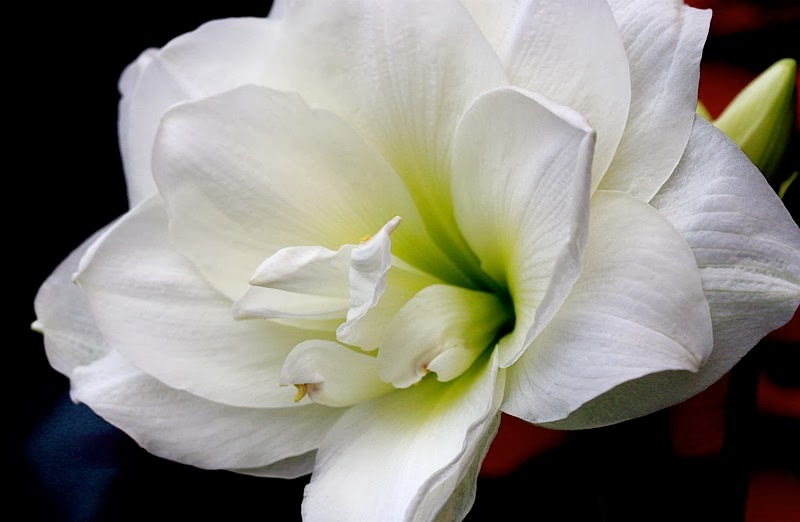 The Hippeastrum genus is both a close relation and is a member of the Amaryllidaceae family but they are found on an entirely different continent. The Hippeastrum genus is native to the tropical and subtropical regions of the Americas from Argentina and up to Mexico and the Caribbean. Some people will plant Amaryllis directly into attractive pot covers but you are really asking for trouble by doing this. It is all about drainage with amaryllis so you are best planting your bulb into a porous pot, like terracotta, making sure that it has appropriate drainage holes in the bottom. Once you bulb is potted up you can always transfer your planted Amaryllis into a pot cover if you are unhappy with how your original pot looks. In addition, you can give the soil surface a covering of healthy sponge moss to hide the fact that it is planted in a pot, within a pot. Compost choice is easy as you want something that is really free draining and poor in nutrients. You will of course need some nutrients to help the bulb increase its size for next year but these can be applied as a weak liquid feed while the bulb is actively growing. A pre-mixed cactus compost would be ideal for this but you can also use a normal seed compost with perhaps a little more horticultural grit or perlite mixed in for better drainage. Whatever you decide, the most important factor will be how much water they are given and how easily it can drain away. 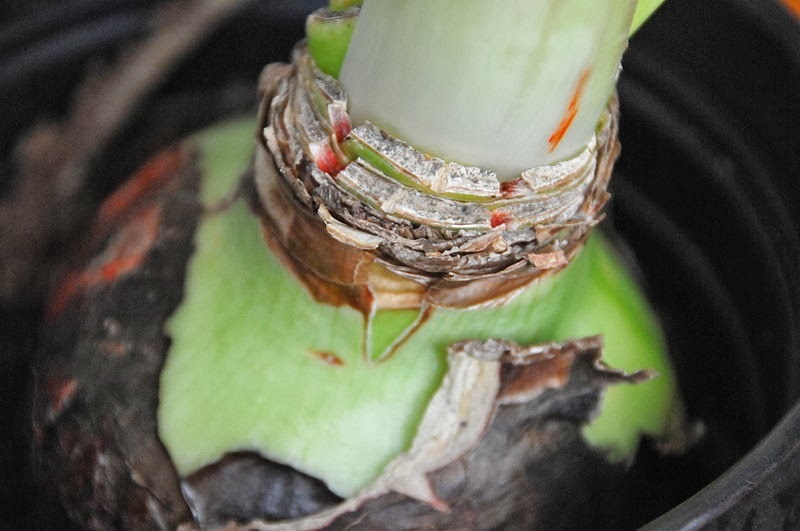 When planting Amaryllis, place the bulb in the pot in such a way that the compost surrounds it both below and around the sides but with the upper third of the bulb sitting naked and proud of the soil level. Water regularly once the green bud appears but be careful not to over-water. Once the bloom is finished allow the bulb to dry out between watering, but watering should be stopped once the leaves show signs of dying back. Position is important when the bulb is growing as it will need warmth and light for healthy growth. If it is kept too dark then the leaves will stretch as they try and search for a better light source, but unfortunately they can only support themselves for so long before collapsing under their own weight. 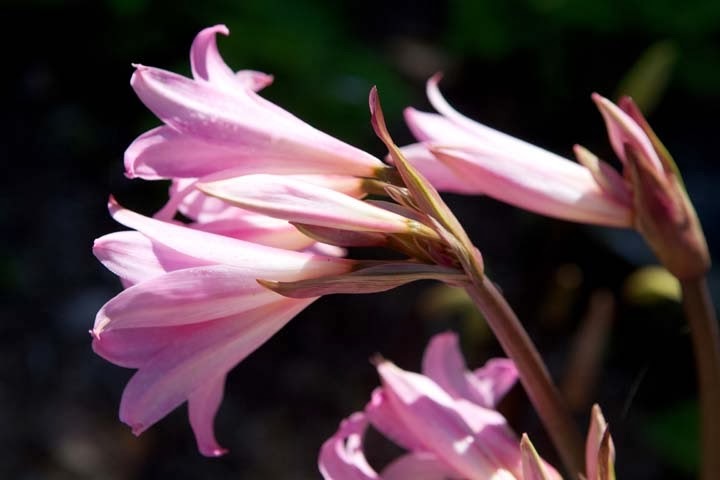 However once the flowers begin to show, the bulb can be moved to a cooler darker area to extend the flowering time as by now the leaves would have done most of their growing. You may need to occasionally turn the plant to prevent it growing lopsided towards the light. M. Rehemtulla file is licensed under the Creative Commons Attribution 2.0 Generic license.